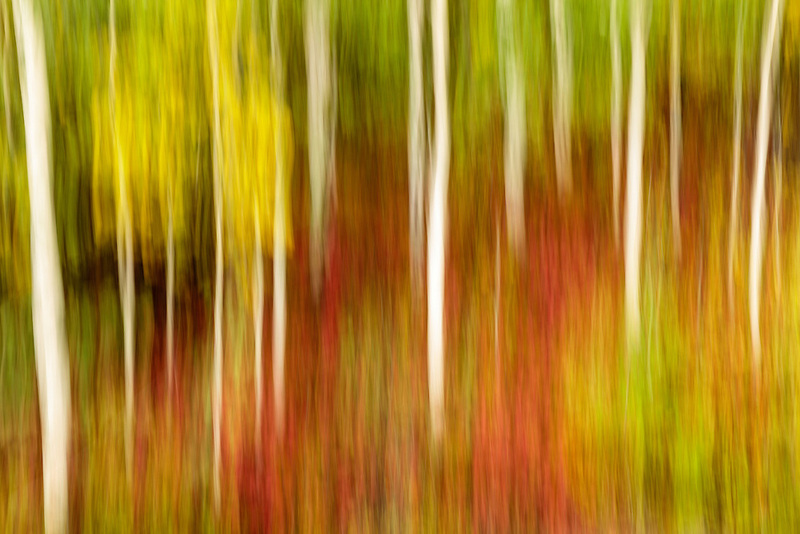 Creative motion blur of fall foliage of Aspen trees and High Bush Cranberry in Eagle River in Southcentral Alaska. Autumn. Afternoon.